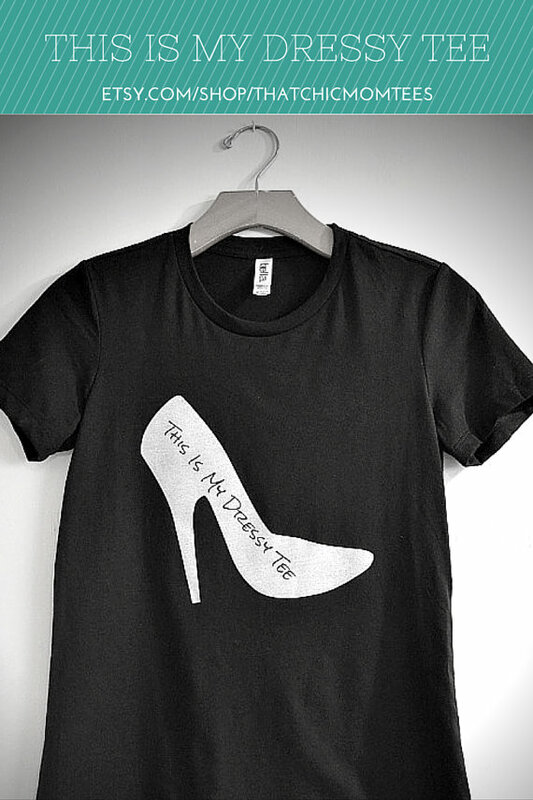 When it comes to t-shirts and a t-shirt outfit, I’ll admit it – I’m picky. If I’m going to wear a t-shirt I want it to express my personality, fit well and be something I feel good in. I’m so excited to share with you today some really cute tees from a fellow fashion friend of mine, Ellen from That Chic Mom. 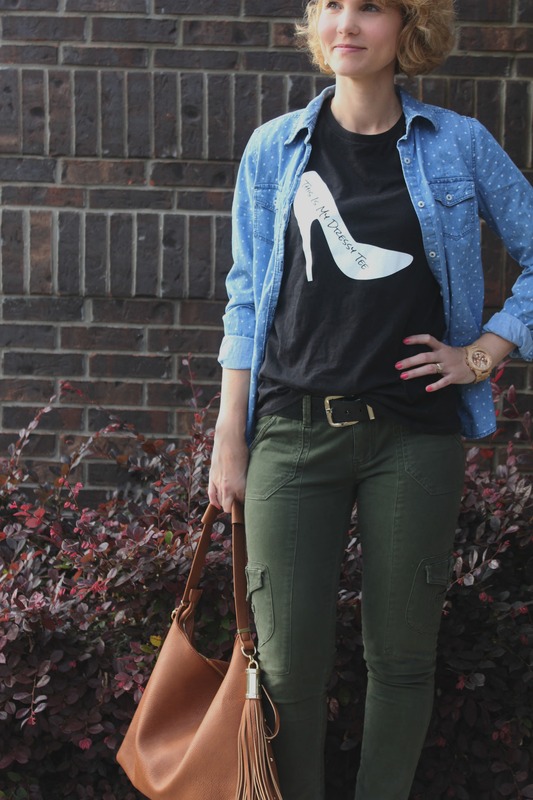 Not only is her style (and fabulous pixie cut) spot on, but her t-shirt designs are creative and fun. I’m wearing her “This Is My Dressy Tee” shirt, which I have worn with a skirt, shorts and denim over the past couple of weeks. Today I styled it with a pair of olive cargo skinnies, brown wedges, chambray shirt, and my new JustFab handbag. I have a feeling this will be one of my go-to outfits. I just love it! Don’t be afraid to play around with different patterns and color combinations. I grabbed this chambray shirt at the last minute when putting together this outfit, just hoping that it might work. Sometimes my outfit combinations work and sometimes they just don’t. That’s one of the fun things about playing around with clothes in my closet. I now have a casual, comfortable and cute outfit that I’ll go back to over and over again. 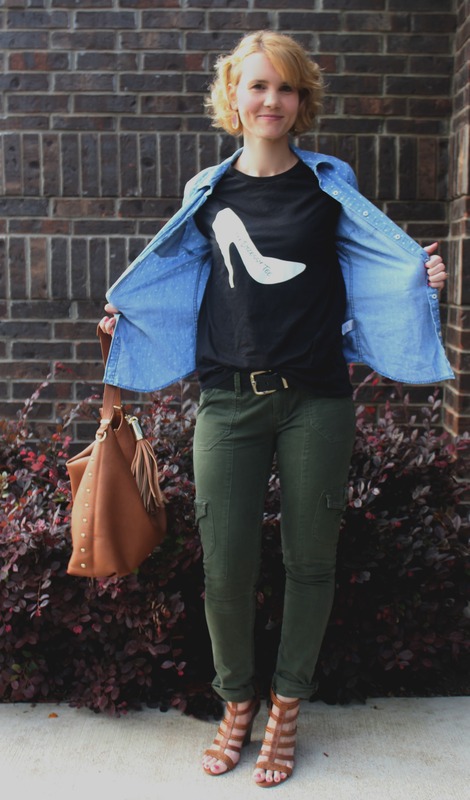 Be sure to check out the other That Chic Mom Tees. From her Blessed Mama and Blogging one, to the one I featured today – they are all super cute! Disclosure: Samples provided by That Chic Mom Tees to facilitate this post. 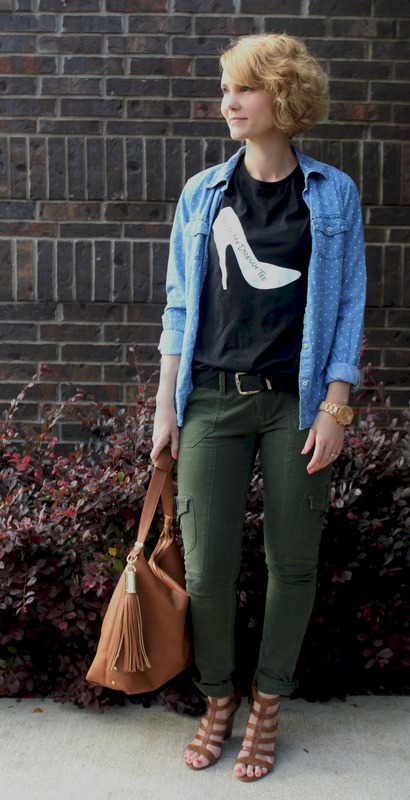 I love how you styled the tee and those shoes, swoon!